T'm'around stoo dividends). This does not need to occur at the same time: your earnings can grow today, and your dividends can be zero or be shrinking today. In our earlier example, firm G could be a slow dividend payer or a fast dividend payer. It could pay $100 now, $150 nextyear and $250 in two years. Or, it could reinvest the money, effectively on your behalf, (at the same 10%, of course), and then pay one big lump sum dividend of $100- (1 + 10%)2 + $150 - (1 +10%) + $250 = $536 at the end of period 2. 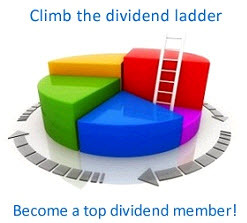 The dividend payout policy does not affect G's value today. The important point is that the net present value of your total earnings and your total dividends must both be equal to the price of the firm in a perfect world—or you would get something for nothing or lose something for nothing. IMPORTANT: In a perfect market, the price and value of the firm are determined by the net present value of the firm's underlying projects. In total, the cash flows from the firm's projects belong to the firm's claim holders. Therefore, the net present value of the firm's projects also must be the same as the net present value of the firm's payouts to all claimants. The same logic applies to stock and debt. Debt receives some cash flows generated by the projects, which are then paid out as principal or interest. Similarly, stock receives some cash flows generated by the projects (sometimes casually called earnings), which are then paid out as dividends. The time patterns of inflows or outflows only matter in determining net present values. Beyond this influence, it does not matter whether the firm is a fast-earnings grower, a slow-earnings grower, a fast-dividend payer, or a slow-dividend payer—each firm should be a fair investment. There is no value created by shifting earnings or dividends across periods. This simple insight is the basis of the "Modigliani-Miller" (M&M) theorems, which won two Nobel prizes in economics. (They will be explained later in more detail.) Remember, though, that the "perfect market" assumption is important—the value of the firm is only the discounted value of all future dividends or all future earnings if markets are not too far from perfect. This is reasonable enough an assumption for large company stocks traded in the United States, but not necessarily the case for small, privately held firms. You should also realize that over any limited time horizon, neither dividends nor earnings may represent value well—dividends can be zero for a while, earnings can be negative, and the firm can still have tremendous and positive value. There is an important corollary. If General Electric is about to win or has just had some great luck, having won a large defense contract (like the equivalent of a lottery), shouldn't you purchase GE stock to participate in the windfall? Or, if Wal-Mart managers do a great job and have put together a great firm, shouldn't you purchase Wal-Mart stock to participate in this windfall? The answer is that you cannot. The old shareholders of Wal-Mart are no dummies. They know the capabilities of Wal-Mart and how it will translate into cash flows. Why should they give you, a potential new shareholder, a special bargain for something that you contributed nothing to? Just providing more investment funds is not a big contribution—after all, there are millions of other investors equally willing to provide funds at the appropriately higher price. It is competition—among investors for providing funds and among firms for obtaining funds— that determines the expected rate of return that investors receive and the cost of capital that firms pay. There is actually a more general lesson here. Economics tells you that you must have a scarce resource if you want to earn above-normal profits. Whatever is abundant and/or provided by many will not be tremendously profitable. Q 3.3 Presume that company G pays no interim dividends, so you receive $536 at the end of the project. What is the G's market value at time 1, 2, and 3? What is your rate of return in each year? Assume that the cost of capital is still 10%. Q 3.4 Presume that company G pays out the full cash flows in earnings each period. What is G's market value at time 1, 2, and 3? What is your rate of return in each year? This is sometimes called the M&M theorem, but holds in perfect markets only. Any wealth gains accrue to existing shareholders, not to new investors.